Indie Retro News: The Aquatic Adventure of the Last Human - Pixelated action adventure gets an alpha demo! 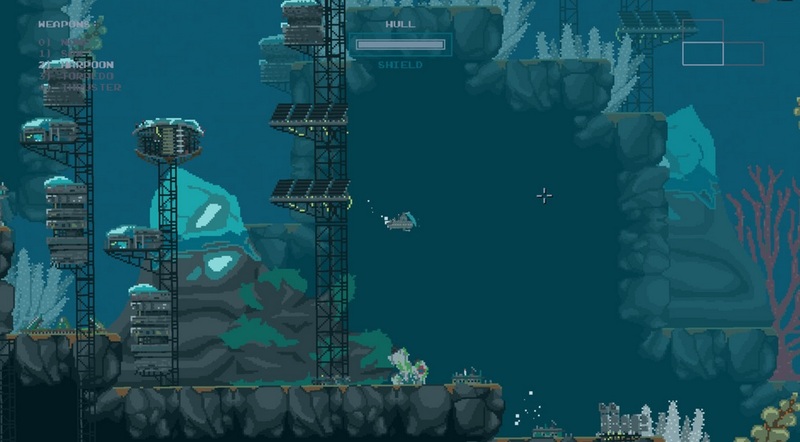 The Aquatic Adventure of the Last Human - Pixelated action adventure gets an alpha demo! Developed by Christopher Andreasson (Code and Design) and Josef Martinovsky (Art and Design and Sound) and made in Game Maker Studio, the Kickstarter success of ' The Aquatic Adventure of the Last Human' has now appeared on Gamejolt with a playable alpha demo. Set in the deep underwater depths, millions of years later, you return in a sub-aquatic spaceship from a nearby wormhole in search of habitable planets, to try and discover what has happened to the Human race by exploring the decaying ruins of our species and fighting deadly sea-creatures in search of answers. According to the team, The Aquatic Adventure of the Last Human is their first game, with inspirations from such classics as Planet of the Apes, 2000 leagues Under the Sea, Star Wars, Shadow of the Colossus and many more. All of this is put together in a game that has a fantastic pixelated side scrolling art style, with mighty beasts and unique underwater areas to explore. But before you get too excited, this lovely game isn't available until August or September 2015 but you can have a taste of what's to come in the latest released alpha demo.